After helping Chelsea to the FA Cup at the weekend to end the season on a high note, Eden Hazard is reportedly being targeted by Man City boss Pep Guardiola. As seen in the video below of his post-match interview with BT Sport, the Belgian international’s future was an immediate talking point with speculation rife over whether or not he’ll stay at Stamford Bridge. Hazard enjoyed another productive campaign on an individual level with 16 goals and 13 assists in 51 games, but as a whole, the Blues will be disappointed, particularly after missing out on the Champions League. It remains to be seen if that impacts the 27-year-old’s decision, but according to The Daily Star, he could have a major decision on his hands as Man City have been linked with making a whopping £100m bid for him. 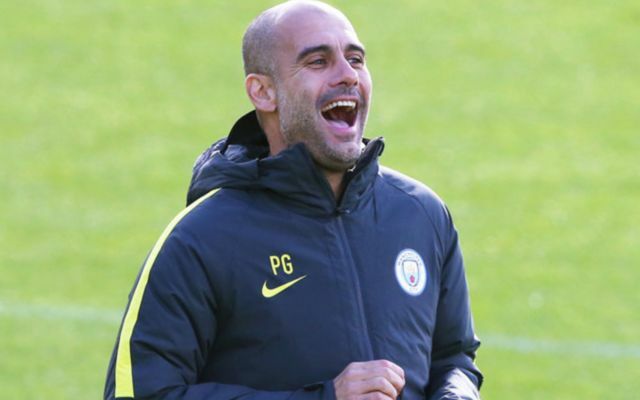 Given that the Premier League champions have just scored a staggering 106 goals in 38 games on their way to the title, bolstering his attacking options doesn’t really seem like it needs to be a priority for Guardiola. With Sergio Aguero, Gabriel Jesus, Leroy Sane, Raheem Sterling, Bernardo Silva and then David Silva and Kevin De Bruyne in deeper roles, that is a lot of firepower for Guardiola to choose from already to continue to ensure that they compete on various fronts. However, based on this report, it seems like if the opportunity arises to prise Hazard away from Chelsea, the Spanish tactician and City will try to do it. From Chelsea’s perspective, it will be the complete opposite sentiment as they’ll be desperate to avoid losing their talismanic figure who has consistently been one of their best players in recent years. It really would be quite the statement from City though if they not only signed another marquee name, but also raided a direct rival too to underline their potential dominance in the years ahead. Will Eden Hazard be at Chelsea next season?